You’re driving through Villa Park, the small affluent city surrounded by the city of Orange. Affluent or not, there can be many hazards on any road. Unfortunately you drive over a board with a nail sticking out of it and your tire is punctured. What are you going to do now? You need some kind of roadside assistance in the Orange, California area. More specifically, you need a flat tire change in Orange, CA and you need a professional team to help you out of this dilemma. Who will you call? There are many tow truck companies out there, but there is no one that compares to Towing Ravens. Towing Ravens is there for you to meet all of your roadside emergency assistance needs. We can help with anything from fixing a flat tire to providing assistance if you are locked out of your vehicle. Towing Ravens can affordably take care of them all. We serve the Orange community that we have been proud of for years. We know you don’t have time to delay your family plans or other obligations because of car problems. That’s why we are here to provide roadside assistance and emergency towing to keep you on the move. 24 Hour Availability – we have a line-up of trucks ready to go in order to handle all of your towing needs. Professional and Courteous Service – you need a towing company who can come to your rescue in dangerous situations and we will ensure that you get the reliable service you need. 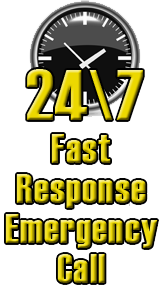 We provide a fast response. We will ensure prompt service usually within 30 minutes so that you are not left out in the cold. We have affordable prices. Our pricing policy is honest so you know you get what you are paying for.